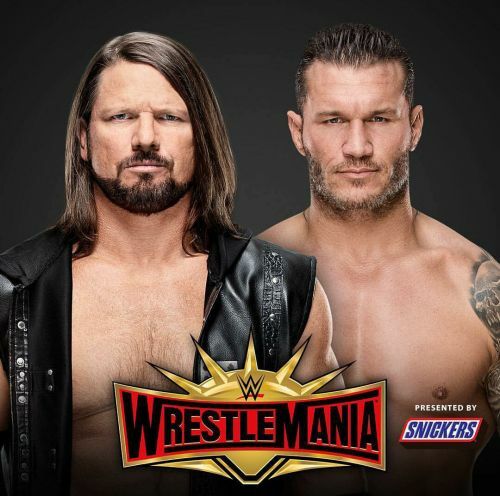 When Randy Orton interrupted AJ Styles in a backstage segments during the February 26, 2019 and then again during the March 5, 2019 episodes of Smackdown Live, it seemed like a rivalry that has been put together because the creative team was unable to find a good enough spot for them in the WrestleMania 35 match card. This apprehension was further boosted when at WWE Fastlane 2019, Randy Orton hit Elias with an 'RKO out of nowhere' and then immediately after that, was hit with a 'Phenomenal Forearm' by AJ Styles. The segment seemed ludicrous considering that if Orton had attacked Elias as a surprise, then how did Styles managed to reach the ring to attack Orton. Admittedly, WWE is not a place where the product must be judged on the basis of how logical it is. However, considering the manner in which the lines between the real world and kayfabe have been blurred over the past decade, such questions and criticisms would come in the way of WWE. However, all these doubts and criticisms were put to rest during the March 12, 2019 episode of Smackdown Live. Randy Orton and AJ Styles gave a scintillating promo, with Orton delivering one of the best promos of his career. The segment was extremely well written and gave the fans a clear idea of the contrasting journeys these two individuals have had. In the promo, Orton drew a chronological comparison between their careers and made extremely valid points to challenge Styles' claims of Smackdown Live being the house that he built. He dissed on AJ Styles' background in the independent circuit, in turn, taking shots at the influx of talents from independent wrestling promotions now coming to the WWE. In retaliation, Styles verbally attacked Orton's biggest strength, his finishing move, RKO, by calling a 'Diamond Cutter' rip-off (a reference to finishing move used by WCW Legend Diamond Dallas Page). He further called upon how Orton would not have made it in the independent circuit, along with the influence of Randy Orton's father in giving him the push in the early stage of Orton's career and also how dependent Orton has been over the years on factions to be able to reach the top. This rivalry is a clash between two contrasting styles of wrestling. It is a clash between two contrasting journeys. It is a clash between a wrestler who was borne out of the WWE developmental system and has been specifically groomed by this giant organization over almost two decades, and a wrestler who clutched and clawed his way to the WWE by honing his craft in the independent circuit for 15 years. In a matter of a few minutes, this rivalry has become one of the most awaited matches of WrestleMania 35.